This topic contains 1 reply, has 2 voices, and was last updated by admin 4 weeks, 1 day ago. Hi, I’m experiencing quite a few problems with the generation of the pdf attached to the email. Until a few hours ago it worked perfectly, then, without changing settings or anything, once the form was sent, the email is generated perfectly but the attached pdf file no… generates a blank page with the words: “NO LAYOUT OR DATASET SELECTED “… but it is impossible because everything is created correctly. 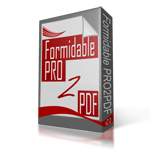 Are you able to export a PDF from the plugin’s EXPORT tab? From the plugin’s SETTINGS tab, select “Limit Field Map to use Dropdown” and click the SAVE button, then from the plugin’s EXPORT tab, select the FORM and reply letting us know how many Field Map Layouts are in the dropdown field are ENABLED (able to be selected). Use the above linked form to upload a screenshot of the top portion including the settings of the plugin’s ACTIVATED FORMS tab and the EXPORT tab after selecting the Form and Field Map Layout.